A petrol station cashier was held at knifepoint by a robber who stole cash and cigarettes. The robbery happened at the Esso petrol station on Skipton Road in Bilton, Harrogate, at 3.45am today (Friday). The staff member was left petrified and shaken after the man approached him holding a knife and demanded the money and cigarettes. North Yorkshire Police say the robber fled in the direction of Majestic Wine opposite the filling station, taking a small amount of cash. He was wearing a white balaclava and a thick black coat with the hood up, as well as black gloves, black jeans and black trainers. Officers were called to the scene immediately and searched the vicinity, but were unable to locate the perpetrator. Forensic tests have also been carried out and detectives are investigation a number of leads, including CCTV footage from the area. 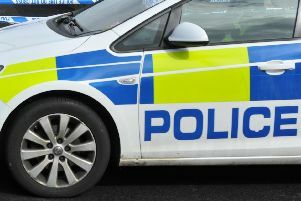 Police are keen to speak to witnesses who may have seen anyone acting suspiciously around the time of the robbery this morning, or who may have any information. Anyone with information can contact North Yorkshire Police on 101 and ask for Harrogate CID. You can also contact the charity Crimestoppers anonymously on 0800 555 111. Please quote reference number 12190060727 when sharing information. 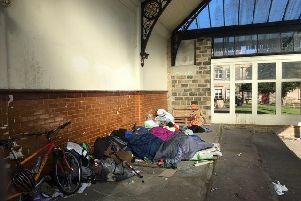 These are the 11 worst areas in Harrogate for crime in 2019 according to Police - how does your area compare?